← Have you tried Stitch Fix? So, when I first moved to the U.K., I discovered Pot Noodle. To the untrained American eye, you’d think this creation was a Cup Noodles lookalike. But noooo… Cup Noodles is a completely different, dare I say, beast of a noodle in a cup. It’s flavor options include original curry, doner kebab, Southern fried chicken and chilli beef. It’s not Asian food and it doesn’t even try to be. It’s go-to hangover food, rich with MSG (I only imagine, if you’re lucky) and fat. My personal favorite — as I was vegetarian during my U.K. years — was the mushroom flavor and I remember I liked it, but can’t really tell you what it tasted like. (I may need to ask my relatives to bring some over so I can revive my culinary memory on that one. Ahh, mushroom Pot Noodle). But I digress. 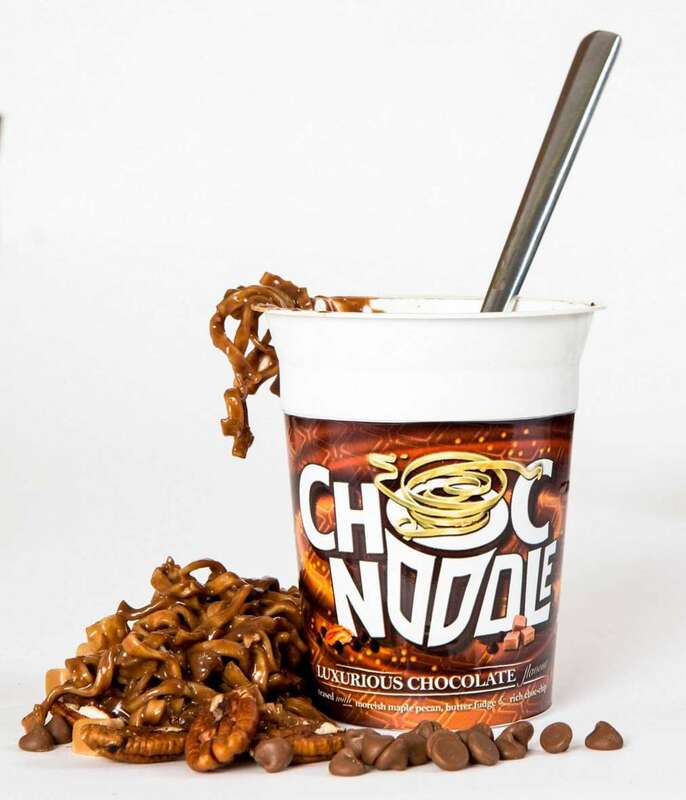 The Pot Noodle people have come out with Choc Noodle, which pairs their noodles in a chocolate sauce with maple covered pecan nuts and milk chocolate chips. *Shudder* Am I right in thinking that chocolate belongs nowhere near ramen noodles? I think they need to use their noodle and get off the sweets train. Posted on 15, October 2014, in Food and tagged British, Choc Noodle, chocolate, Cup-a-Noodle, food, hangover, noodles, Pot Noodle. Bookmark the permalink. 3 Comments. I used to eat Pot Noodle for lunch sometimes during my student days and I agree, they weren’t too bad (although nutritiously, a train-wreck, of course). Not sure about warm chocolatey noodles but I would definitely try this just once, maybe for dessert? Yeah, I’m on the fence with this one, Pauline. The thought of adding boiling water to some chocolate noodles like that puts me off, but if I didn’t have to witness that process, I would probably be okay with it!